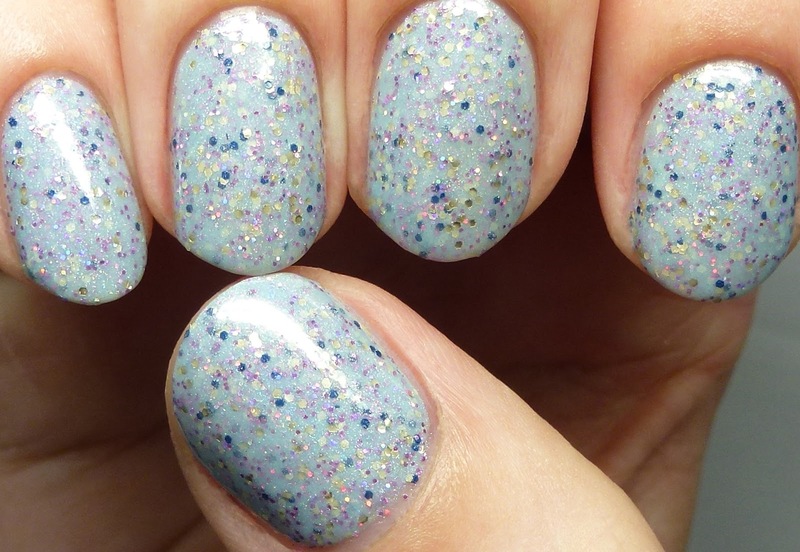 Here's the second half of the Ever After Polish Spring Back to the Future Collection, which releases on Friday! These are the non-neon shades in the collection. It's great that there is some variety in case neons aren't your bag. Check them out after the break! Enchantment Under the Sea! 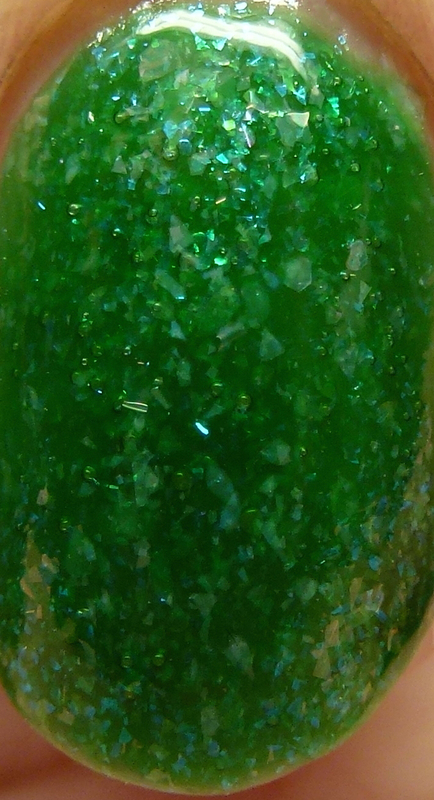 has a mix of pink, green, and blue iridescent flakies in a deep green jelly base. 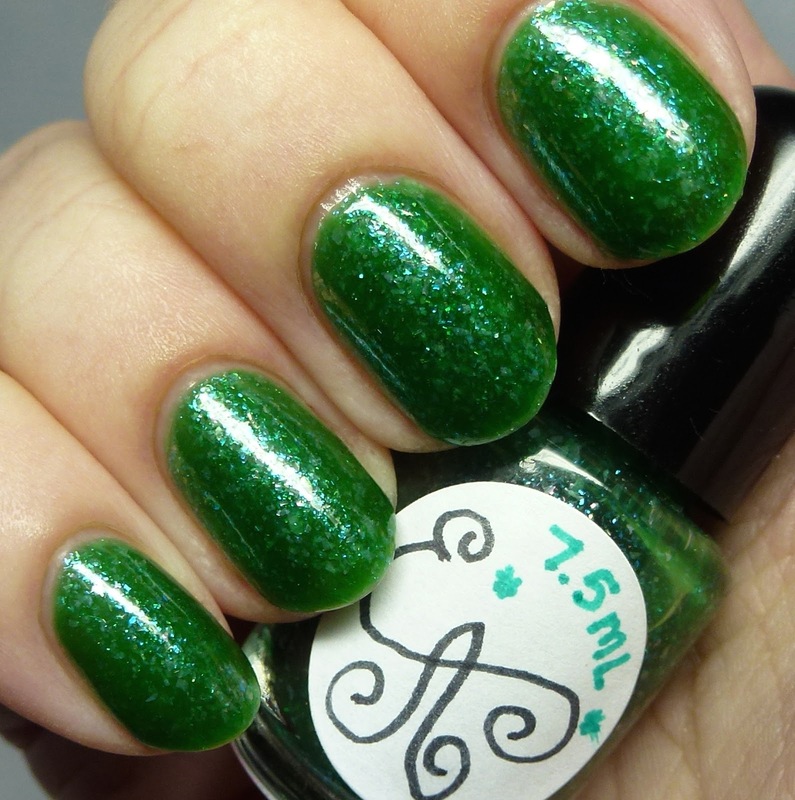 This works as both a topper or on its own in four coats. There is still a bit of visible nail line so if that bugs you I recommend undies. Nice formula. It has a perfect kelp-like effect! 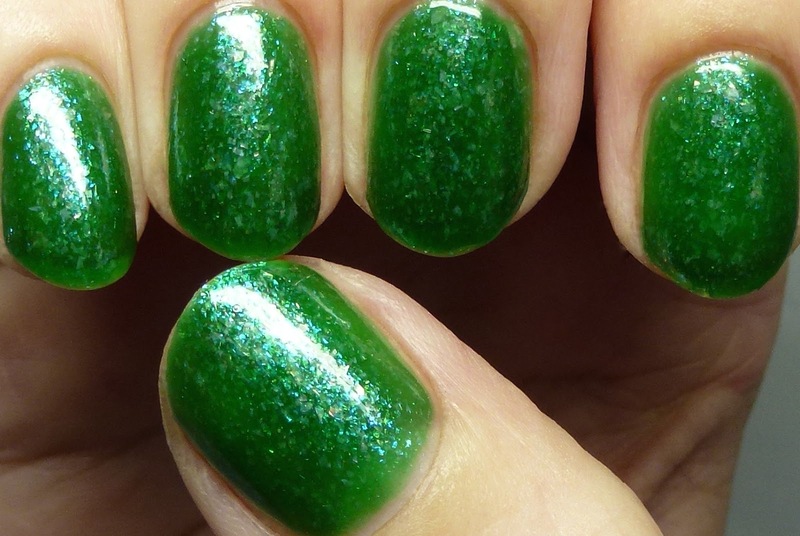 Plutonium is a complex polish. It looks like a white, pearly shimmer, but upon closer inspection reveals itself to have color-shifting, iridescent microflakes that flash orange, green, and blue as well as duochrome shimmer that shifts from blue to pink. 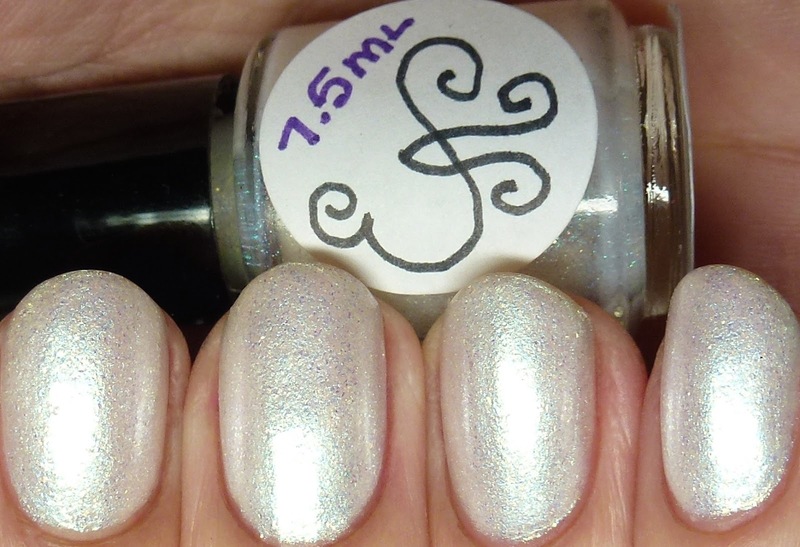 No plain white pigment here! You'll have to see it in person because the subtleties are completely lost on the monitor. This will work as a topper or on its own in four thin coats as I'm showing it here. 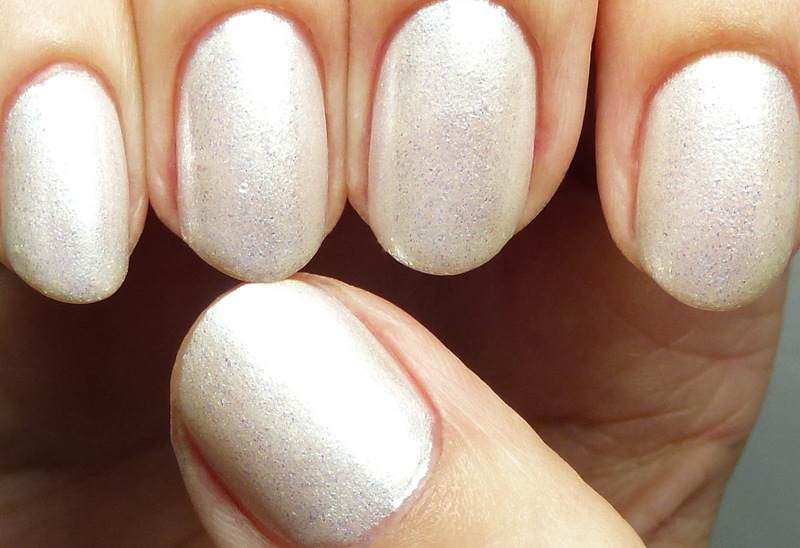 Finally, there is a spectacular glitter polish called The Delorian. It features silver and matte dark blue hex glitters, pink holographic microglitters, and scattered holo shimmer in a pale blue-gray base. I wore this in four thin coats but it needs fewer. 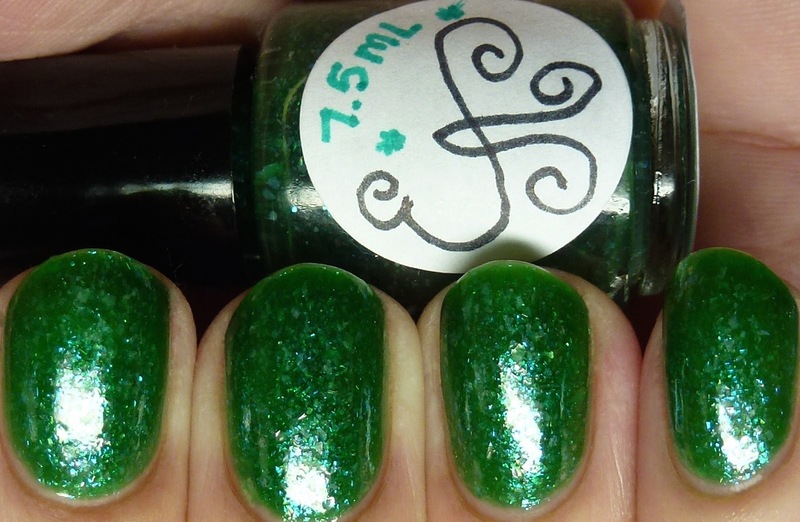 Great formula and surprisingly smooth for the amount of glitter in there. That wraps up the Spring Back to the Future Collection, which releases tomorrow. I will be back soon with some nail art using the the neons from my previous post. See any of these you want to try?